When I was a teenager, I used to attend an oil painting class not far from my home in Renedo. During that time, I copied a few famous oil paintings such as Gustave Caillebotte's Le pont de l’Europe. 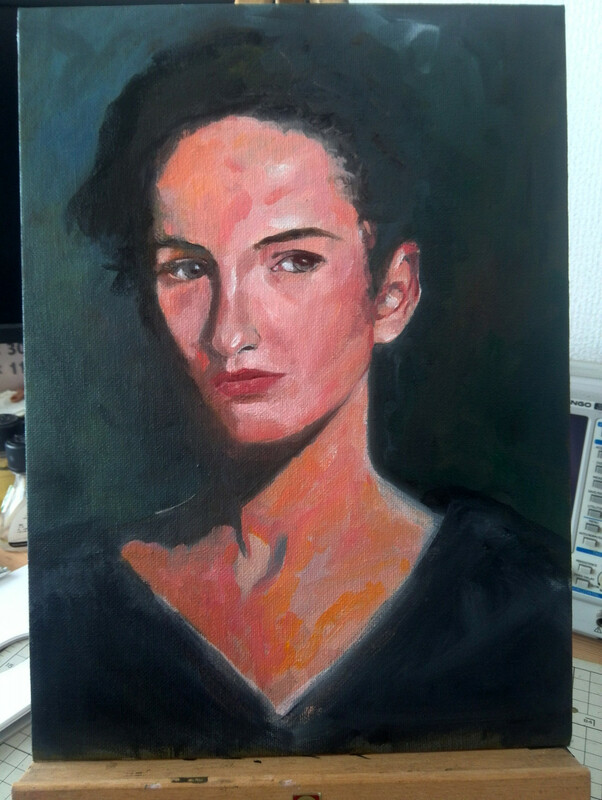 After more than 15 years, I decided to make a new oil painting. The problem was that I had forgotten almost everything. Or that's what I thought. In fact, as I started reading and during the painting process, I was able to recall most of the things I used to know. All that information was still there in my brain, just a little bit rusted!. 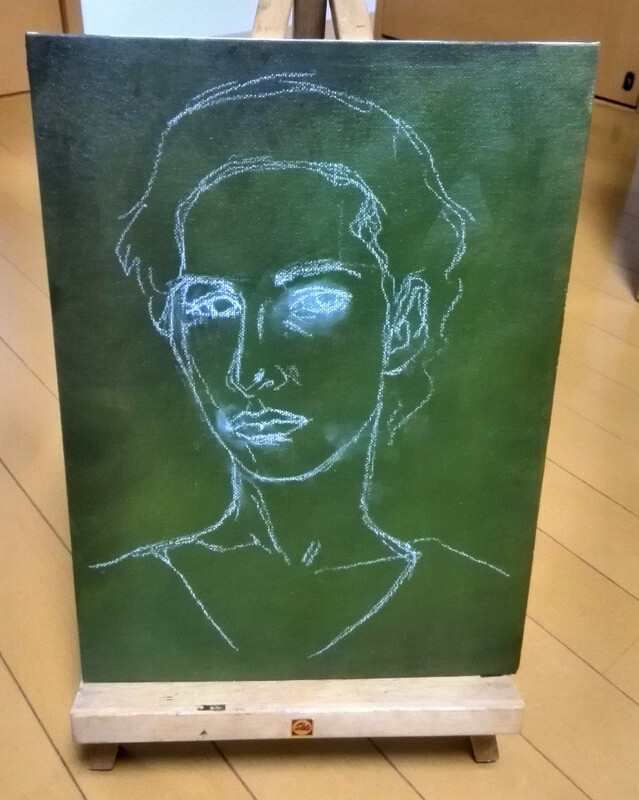 I began by coating a canvas board in dark green colours. 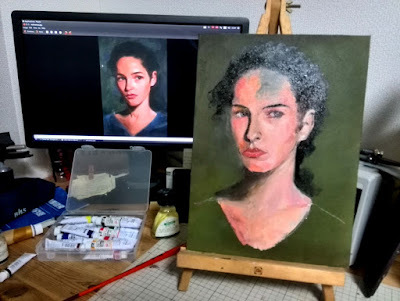 Usually, a canvas made of linen is best, but this was kind of an experiment so I just used a canvas board from the 100 yen store Daiso. After the green layer dried, I drew the line work on top of it. 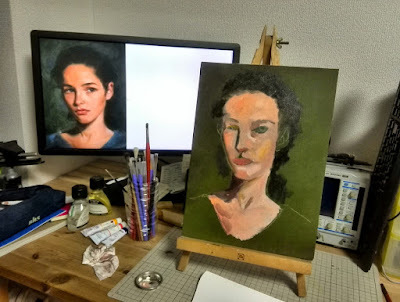 This time I just copied a portrait that I found on a random website. It took me some time to recall the names of the oil paint colours that I used to use. 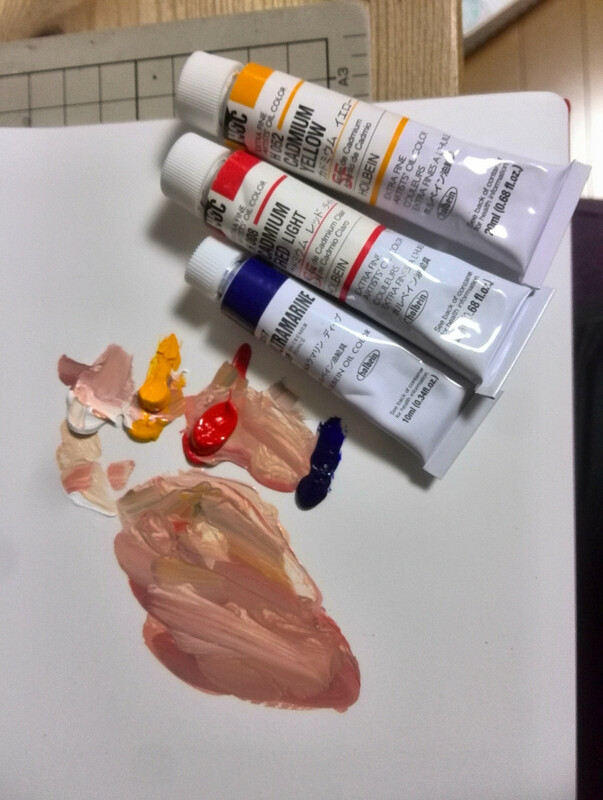 For the skin tones, I had to do some research and ended up using ultramarine blue, yellow cadmium, red cadmium and titanium white. My first tries were really horrible. I had to let the painting dry and redraw everything again for a few times. Instead of applying paint all over, I should have put special emphasis on getting the shapes and values correct at first. After some iterations, I was finally getting a bit closer to the portrait I was copying from. The woman looks different but here I wanted to focus on recalling the colouring process. The end result was a small success compared to the initial tries. I learned a lot from my mistakes and it was also useful to know how far I am from being a good painter. I decided to leave the painting untouched, and I'll try to use all the learned lessons for the next one.